This event is now fully booked. The next available session is in April - 'Nature Explorers: Wild Expedition'. Drop off your young explorer for the day in Hyde Park to learn wilderness skills with other like minded children at the LookOut Discovery Centre. 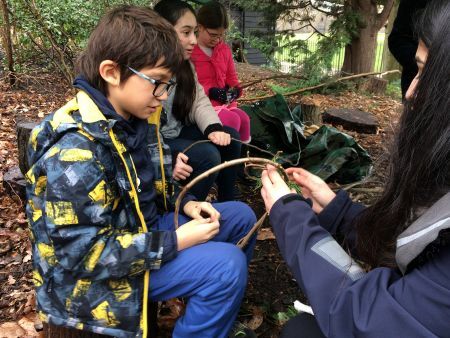 Led by a fully trained and DBS checked forest school leader, explorers will learn how to build a fire without matches and cook their own bread over it. They'll learn to safely cut hazel rods using bow saws, loppers and secateurs, then create a natural alter-ego by using the rods to create their very own green man mask. A day spent exploring the natural wonders hidden in Hyde Park is the way to any young explorer's heart.